Dr. Pasquali is a professor of pathology and co-director of the fellowship training program in biochemical genetics at the University of Utah School of Medicine. Dr. Pasquali earned her degrees of doctor in pharmaceutical chemistry and technology and pharmacy doctor at the University of Parma School of Pharmacy in Italy. Dr. Pasquali trained in biochemical genetics at Emory University, where she later served as the co-director of the Biochemical Genetics Laboratory. Dr. Pasquali is board certified in clinical biochemical genetics. She is a member of the Society for Inherited Metabolic Disorders, the American College of Medical Genetics and Genomics, and several other professional societies. 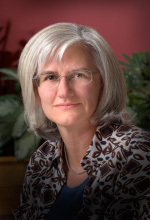 Her research interests include newborn screening, lysosomal storage disorders, and disorders of carnitine as well as creatine metabolism and transport.